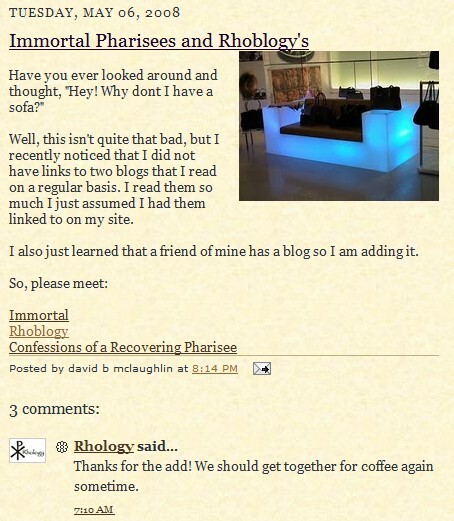 “I actually do think parts of the Bible are more valuable than others, more inspired than others. In fact, I think that some parts of the Bible have been put aside by the Christian revelation.”—Quote by Cecil Sherman, your typical Anti-Bible Biblically Illiterate unregenerate non-Christian Liberal Baptist apostate reprobated and heathen heretic. 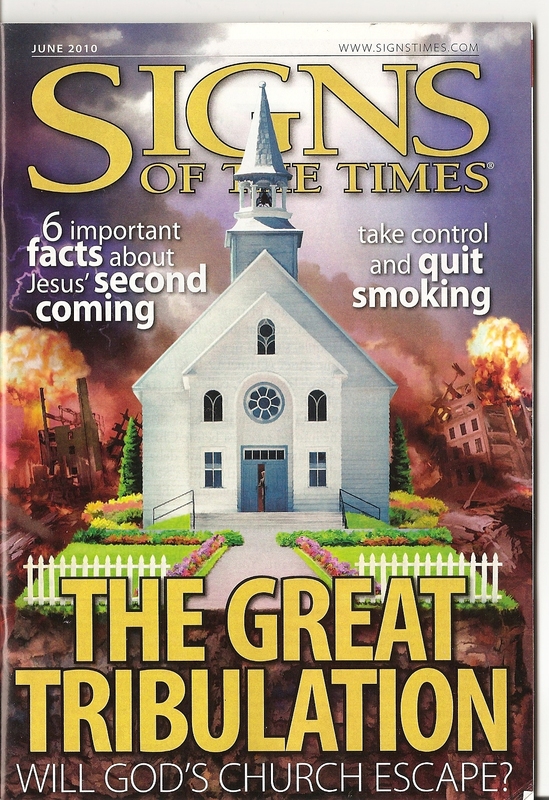 Pre-requisites for this course: one must have completed the following courses—our course on Absolute Truth and our course on Discernmentalist Church History 101 or candidates for this course must at least have a sufficient and satisfactory grasp on Discernmentalese: the official jargon that we use around here. Your Discernmentalese must be approved by your official instructors: the esteemed Dr. Truthslayer, the wise Dr. Arthur McJohn, the illustrious Dr. I. Todyaso and yours truly the pithy Dr. Don Jobson. Candidates for this course must have also completed part 1 of our course on Bible Literalism. The literal sense is the only honest way to read. Honestly, the literal sense is literally the only honest way to read. If you care what the author said, read literally. If you do not care what the author said, do not bother reading. We agree as metaphors do not exist in the Discernmentalist Worldview. Everything literally means what it says as long as it doesn’t clash with our Pure Doctrines and even if it does we’ll find some way to spin it literally such as: “Οὕτως γὰρ ἠγάπησεν ὁ Θεὸς τὸν κόσμον, ὥστε τὸν Υἱὸν τὸν μονογενῆ ἔδωκεν, ἵνα πᾶς ὁ πιστεύων εἰς Αὐτὸν μὴ ἀπόληται ἀλλ᾽ ἔχῃ ζωὴν αἰώνιον” doesn’t literally mean “For God so loved the world, that he gave his only Son, that whoever believes in him should not perish but have eternal life”—but literally means that God literally loves and literally only died for the Elect and the Elect only literally. 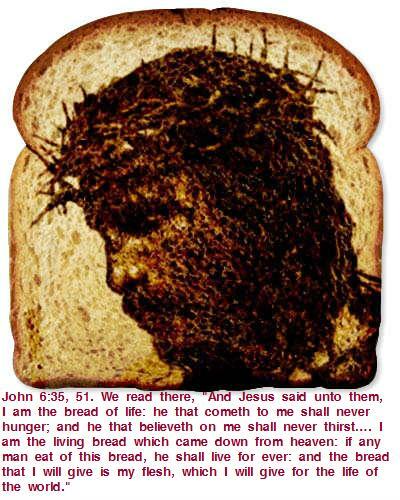 Eventhough Jesus literally said “This Is My Body” which literally interpreted means exactly what it says that the bread in Communion is literally Jesus’ literal Body, we must take a self-righteous stand in our Truth Wars and come against the Eucharist/Real Presence as it literally has no place in our Pure Bibles. A literal interpretation of “This Is My Body” literally clashes with the literalness of our Pure Doctrines. John MacArthur told us so and if he says it—it must literally be by default True because anything he literally says he speaks ex cathedra and all that he speaks is ex cathedra not to mention literally infallible Absolute Truth. However we Discernmentalists don’t need to appeal to John MacArthur to know that this is literally True. It is literally True because We Say and believe It is literally True. We Know that in Psalm 137:9 God literally commands us to “take our babies and smash them against the rocks!”—though we literally stand against abortion. We Know that I Timothy 1:9-10 is literally about gay marriage. Everything in the Bible is about our American Gospel and can literally be summed up by our moral stances in Politics. However when Jesus says “Sell all your possessions and give to the Poor and follow Me (Matt. 19:16-26;Luke 12:33-34 and 14:33) ” He doesn’t literally mean that. We like the parts of the Bible that fit our Pure Doctrines but ignore the verses that we do not agree with, that do not make us comfortable in our American values and/or do not back up our Discernmentalist Worldview. Thus while neo-orthodox theologians often sound as if they are affirming traditional beliefs, their actual system differs radically from the historic understanding of the Christian faith. 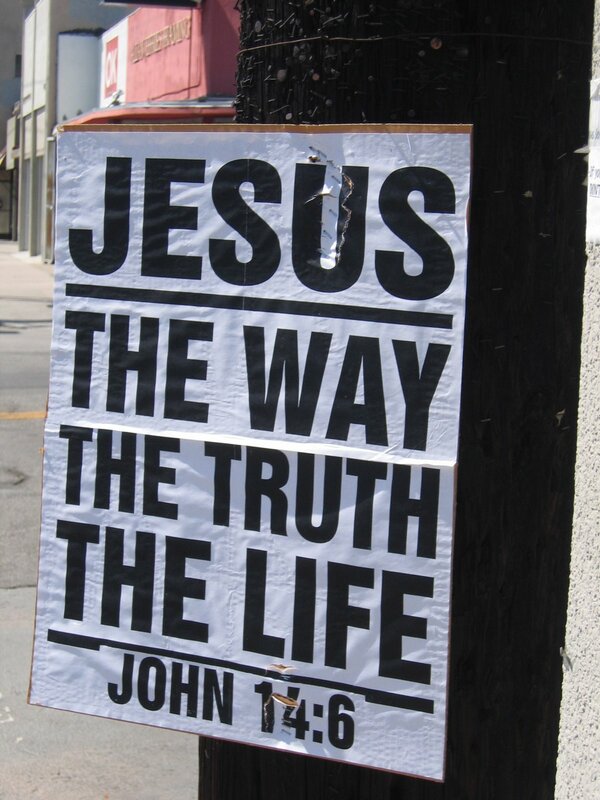 By denying the objectivity of truth, they relegate all theology to the realm of subjective relativism. It is a theology perfectly suited for the age in which we live. And that is precisely why it is so deadly. Be a literalist. Read the Bible literally. If anyone objects, ask him if you should consider his objection literally. 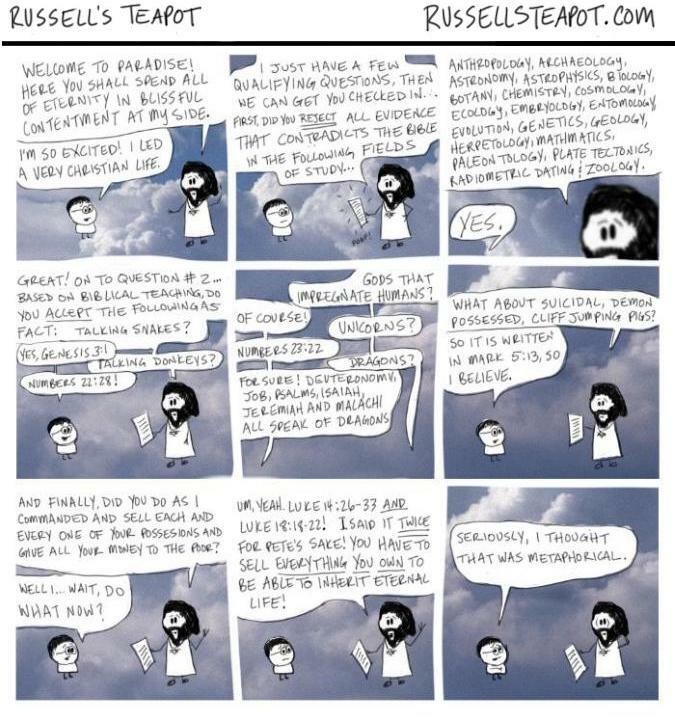 Or, you can explain that the Bible is literature, and that there is no other way to read it but literally. Nothing But The Truth: a new film that is all about the Absolute Truth from the producers of “They Came From Beyond….Modernism” and Nothing But The Truth Films. 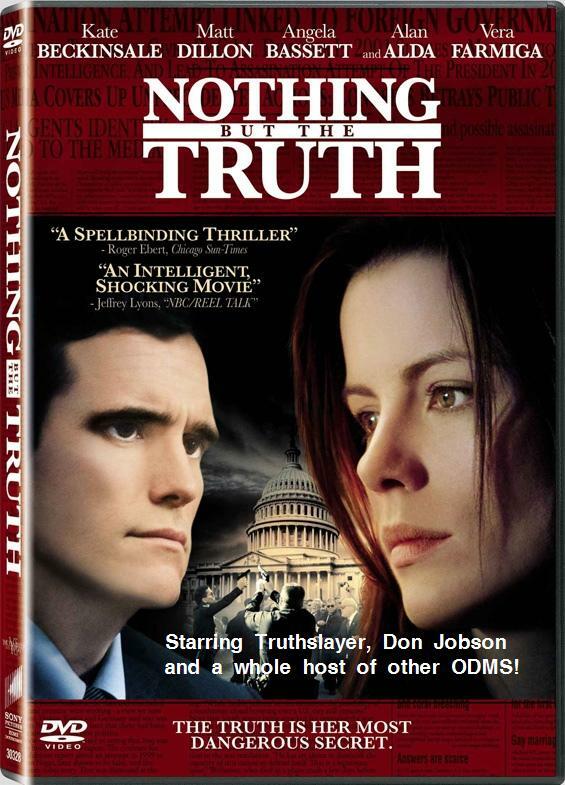 Nothing But The Truth stars Truthslayer, Don Jobson and all your other favorite ODMs as they seek to expose all to the Truth and nothing but the Truth by our own standards of Absolute Truth. Nothing But The Truth is a film that is sure to thrill and delight Discernmentalists for ages to come. “Liberal thinking about God’s love also permeates much of evangelicalism today. We have lost the reality of God’s wrath. We have disregarded His hatred for sin. The God most evangelicals now describe is all-loving and not at all angry. We have forgotten that “It is a terrifying thing to fall into the hands of the living God” (Hebrews 10:31). We do not believe in that kind of God anymore. We must recapture some of the holy terror that comes with a right understanding of God’s righteous anger. We need to remember that God’s wrath does burn against impenitent sinners (Psalm 38:1-3). That reality is the very thing that makes His love so amazing. Only those who see themselves as sinners in the hands of an angry God can fully appreciate the magnitude and wonder of His love. The Bible is a book of words and those words are to be interpreted according to their literal sense, which means in the same sense that the author understood them. This is a principle called the Sensus Literalis, and it is an important rule of hermeneutics. If we do not interpret the words in the same sense as the author, then we obscure the author’s meaning and impose our own. If we read our own meaning in the place of God’s meaning; then we are no longer reading God’s word but our own. Therefore, we must take care to interpret the Bible literally. We interpret the Bible literally by following the ordinary rules of language; a noun is to be read as a noun, a verb as a verb, and so on. No matter what we read or in what language we read it, a statement is always a statement and a question is always a question. 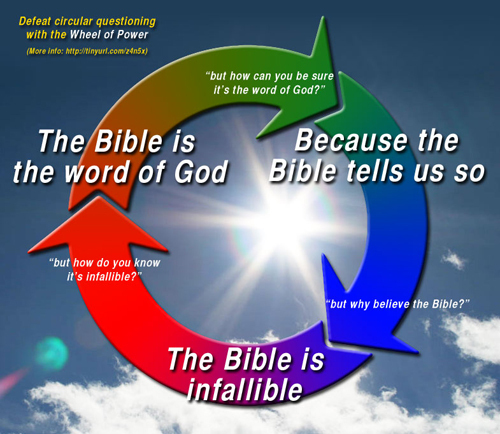 Stay tuned for part 2 of our exhilirating fresh new course straight from the bowels of the GOIP Online Discernmentalist Bible-Literalist Institutes aka LifeWay Press! You are currently browsing the archives for the High tech stuff category.